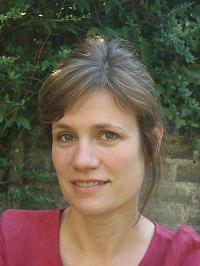 Dr Ayla Humphrey is Child and Young People’s Lead Psychologist for Cambridge and Peterborough Foundation Trust. She is an Affiliated Lecturer in the Department of Psychiatry, University of Cambridge and a member of Cambridge Neuroscience Network. She led the development of clinical services for children and families including the first UK holistic neuropsychological rehabilitation service for children with brain injury (CCPNR, Cambridge Centre for Paediatric Neuropsychological Rehabilitation); a school-based mental health screening and early intervention program (FAB, Family Happiness and Well-being Project); and Paediatric Psychology Services, Addenbrooke’s Hospital. Ayla's research focuses on early childhood development and early interventions including the FAB project investigating the feasibility and efficacy of early interventions for primary school children with behavioral and emotional difficulties; “Parents and Young Children under Extreme Stress (PYCES): A pilot randomised clinical trial of trauma-focused cognitive behavior therapy for posttraumatic stress disorder (PTSD) in young children aged 3-8 year”. ; and developmental disorders of early childhood associated with Tuberous Sclerosis and epilepsy. Within CLAHRC Ayla is currently working on the development of a prototype school-based mental health screening programme, and previously led the evaluation of the Children and Young People’s Improving Access to Psychological Therapies (CYP IAPT) project.